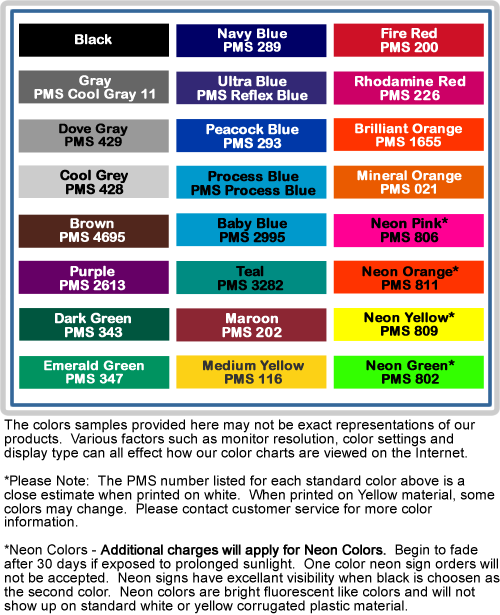 Get your blank yard sign material at wholesale prices from My Sign Printer. Whether your customers are looking for corrugated plastic (4 mm thick) or poster board signs (24 pt 6 ply) , you can buy your blanks here. Ships from our warehouse within 1 business day. Both materials are weather resistant and are a great way for your customers to advertise. 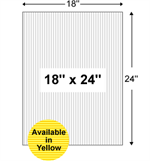 Most Corrugated plastic sizes come in white or yellow. Poster board material is available in white only. Both substrates are ready for your graphics.